NEW WINDSOR — For six of the players on the Cornwall basketball team, the season came around a little too quickly. Just two weeks earlier, they were in Glens Falls for the Class A State Volleyball Championships where they finished in third place. Despite half of the team missing several practices, they didn’t miss a beat on Tuesday night, beating Burke Catholic 46-26 in their season-opener. The Dragons forced 27 turnovers, with most of them coming in a suffocating half-court press defense. Cornwall (in white) with their half-court press. Cornwall (1-0) spent the entire game in its press defense. It took Burke Catholic (0-3) 5:32 to score its first points, and the Eagles never led in the game. The Dragons shot 37% from the field and attempted 25 free throws, making just under half of them. Miller was happy with the amount of times his team got to the free-throw line, but knows they’ll have to convert more. 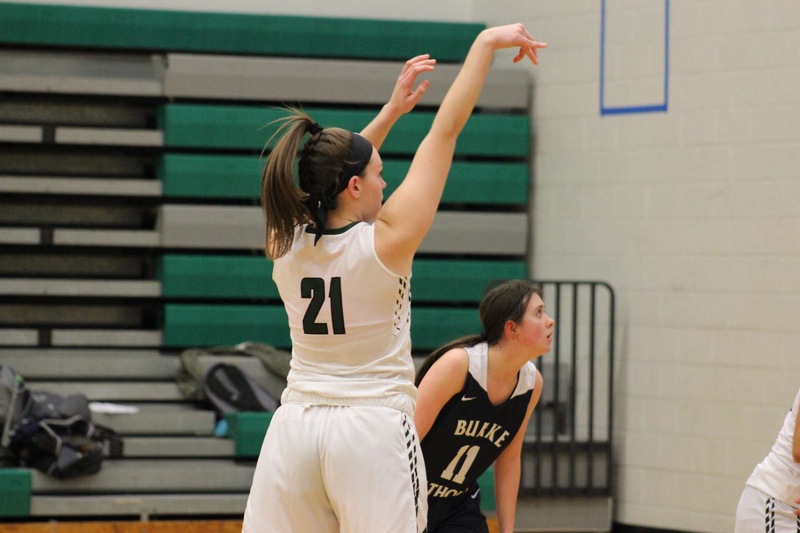 SUNY Cortland commit and senior Cornwall forward Maggie Malone led the Dragons in four categories with 11 points, 12 rebounds, 5 steals and 2 blocks. Malone was content with how the team played, but knows there’s always room for improvement. Burke Catholic senior guard Katelyn McCann led the Eagles with nine points. She admitted the press was tough to get past, and it caused some sloppy mistakes on the court. Cornwall’s next game is Thursday at home versus last season’s Class AA runner-up Washingtonville. Burke Catholic gets five days of rest before they suit up at Goshen.